Candidates are often befuddled by the corporate recruiting process. Especially when they make a conscious effort to play by the rules, only to discover they weren’t even considered for an opening because their resume fell into a black hole. So, to understand some of the realities of corporate recruiting, here are some of its secrets. Companies hire candidates for their personality and cultural fit — not for their skills, advises Abby Kohut, a New York-based recruiter, speaker and author of 101 Job Search Secrets. In fact, Kohut says successful IT candidates usually satisfy only about 75 percent of the technical requirements. Although recruiters often discourage candidates from contacting line managers, the successful candidates usually network their way into the company. “No matter what recruiters tell you, it’s okay to go around human resources and contact the line manager,” Kohut says. 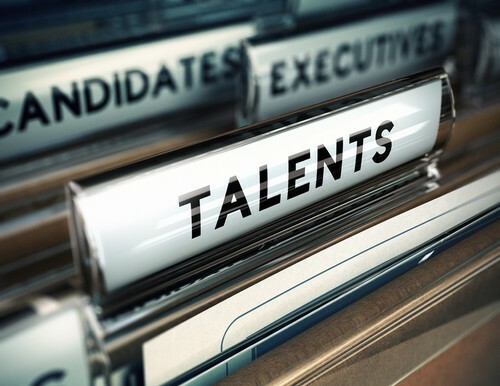 When recruiters are inundated with resumes, they don’t need to spend valuable time tracking down and scrutinizing mysterious candidates. Although IT professionals might scoff at the idea of using vintage communication, recruiters say sending your resume via snail mail or fax can often reach your target audience. Some recruiters read resumes from the bottom up to evaluate a candidate’s career progression, so make sure your resume conveys a compelling story from either direction. Recruiters frequently source and fill unadvertised job openings, so it pays to build relationships proactively. Theoretically, recruiters search the database before posting a position, but kulling stale resumes can be unproductive. To make sure you don’t fall off the radar, refresh your posted resume every week and reapply to suitable positions. It’s not a rumor. Recruiters check-out candidates on the Internet and float their names by the current IT staff to avoid an avalanche of adverse references down the road. Recruiters can’t say yes, but they can screen out unsuitable applicants. So treat them with respect and don’t under-estimate their ability to get you in front of a hiring manager. I’d be happy to volunteer for such a story. I think I would be a good candidate because I’m an older worker *and* I just got my degree, so I cannot be accused of not being up to speed on “current” technology. TR, I’d love to talk to you. I’ll reach out. Mark, Alice or whomever else would like to chat with me: I can be reached at trothaar@gmail.com. I really want (and need) to improve my situation. Thanks, TR. I’ll email you today. I came out with this ideal a few weeks ago and posted it in a another article. I would like to participate in such and article, I’m from the Chicagoland area and you could see if your advise would work in other regions of the country. You are not alone. I was “recently” by the Boston Globe about that very issue; “older workers”. What puzzles me, as I told the interviewer, it was frequently my “legacy” knowledge that enabled my employer to meet the needs of its clients. As far as “current” technology goes, I more than once successfully debugged code written in a language I did not use. This article proves once again that for most of us (and them, interestingly enough) getting hired (and hiring) is mostly a numbers game. My comments/questions: so, where to place education? In the middle? What if your resume is read by a person who reads top/down? Like Max said; it seems getting your resume beyond first base is a roll of the dice. Sorry I’m late to the party. I’m sure it won’t go over well, but I am a recruiter. I’ve been in workforce development for 10 years. Here is some advice. Be sure to write a resume specifically for each position if possible. In regard to education: if your education is more relevant to the position you’re applying for than your experience, or if you’ve just graduated, put it at the top. If your experience is more relevant put it at the end. Hope this helps. “…but kulling stale resumes can,,,” The correct word for this is “culling”, not “kulling”. And I should have checked my own comment for spelling errors also before I posted it (i.e. secret not secrete). No wonder we are falling behind from other countries in the technical aspect; just look at everything you buy and you will see it is made in China, Malaysia, India, and other countries. What happen to the U.S. of A ingenuity? I have more than 40 years experience in the technical field and have worked for the largest companies in this country and the trends I have seen, as far as people is concerned, is that technical people are, for the most part, thinkers and not social people but when it comes to solve problems they are the best. So, what does a company want? people who solve problems and with good ideas or social people who gather drinking coffee talking about sports? If I am a CEO, I would go for the brainy people instead of social-able people. Being at this point retired, I don’t care much about looking for jobs but now and then I get contacted regarding “contracts” with a job description which make me laugh. Now, I can see the trend of what it was in the technical arena and what it is now and no wonder our youth can care a less going to college and take a technical curriculum and so we continue falling behind technically and scholastically across the board. This is a great article. I’m glad you wrote this. This helps job seekers know what the “rules of the game” are. And it is a game that these recruiters play – a very unfair game. Recruiters actually count on applicants NOT knowing how to “play the game” so it makes it look like they are doing their jobs. BTW as a hiring manager, this is one game that I personally find unethical and offensive. It’s for that reason that I at least scan the “secondary pile” of resumes for a rec. I have never in my life gotten a job from being selected by a company’s H.R. team to move onto an interview with them or the hiring manager. But then again I never ever went THROUGH H.R. either. How difficult do you think it is find the name of the hiring manager, or for that matter, the company doing the hiring? PuhLEEZ! You can go the old-fashioned way and talk to your local public librarian who will let you look through the big stack of corporation doing business in your area or state. Those books might actually be online but I haven’t used them in a while, mostly pre-internet. FYI, check next time you are at the library, talk to the REFERENCE librarian. She’ll know what I’m talking about (because I can’t remember the name of those reference books), and she’ll certainly know if they are ‘online’ now or not.